Even after you have found the perfect period costume for an upcoming historical event, adding the right accessories to your character is vital. No soldier, whether from the Civil War era, a medieval kingdom, or ancient Rome, should be without appropriately themed gear such as buckle belts, shoulder bags, belt pouches, and arm bracers. No noble queen should be without a golden crown to enhance her regal beauty. Nor should a dashing Musketeer be without his cavalier hat. Whatever time period you choose to dress from, we have the accessories to match. Our belts, handbags, and arm bracers are handmade from real cowhide leather with color options in black and brown. Other accessories are crafted by hand from suede leather with customized colors. Handstitched medieval and Celtic patterns decorate many of our bags and pouches. 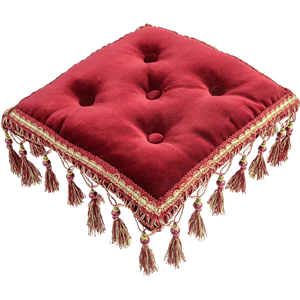 Our Victorian hats, Scottish tartan caps, and Renaissance hats are fashioned from high quality fabrics and feature beautiful accents such as lace, ostrich feathers, and hand stitching. 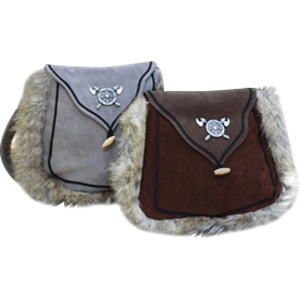 With our fine selection of belts, bags, hats, and arm bracers, we are certain that you will find the items you need to enjoy your role to the fullest. 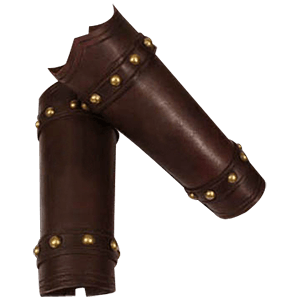 Add that final touch to your costume by adding a pair of arm bracers or wrist cuffs to your forearms. Step more fully into the role of medieval warrior, or complete the look of a Viking raider by adding appropriately themed accessories. At Your Dressmaker, each of our bracers and wrist cuffs are handmade from cowhide leather in shades of dark brown and black. Brass and nickel rivets decorate many of our pieces. Hand stitching reinforces the structure and seams of the arm guards. When designing our forearm armor, we often use leather lacing to provide closure, allowing the wearer to adjust according to comfort and fit. 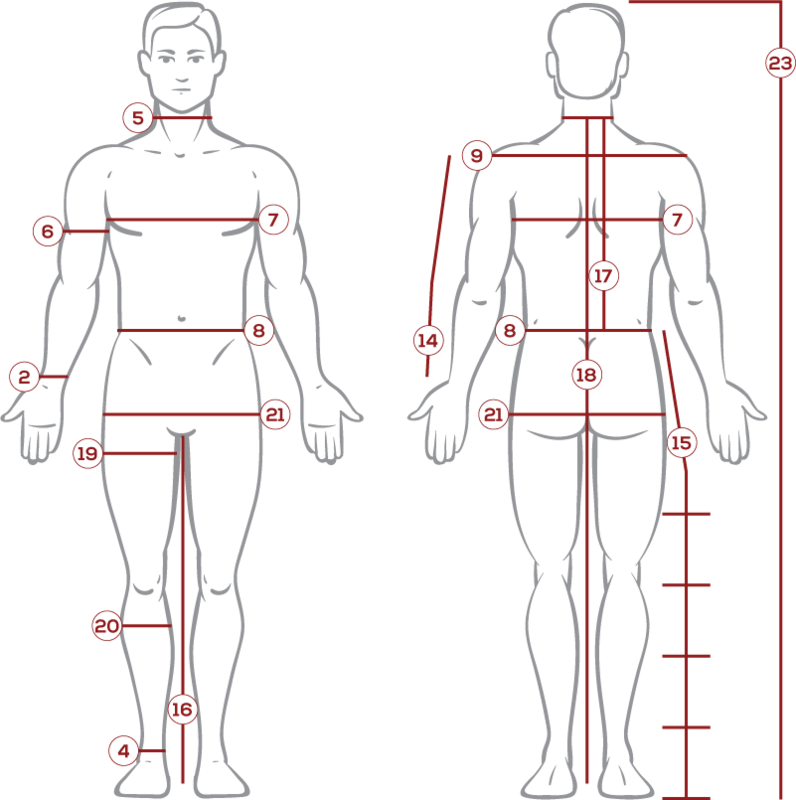 With our fine selection of arm bracers and cuffs, you can fulfill a multitude of roles from various eras. Take on the guise of an ancient barbarian or serve as protector to a neo-Victorian inventor. Join your fellow Roman soldiers in a historical reenactment, or demonstrate your skill as a medieval knight at the next festival. Whatever task or opportunity comes your way, our bracers will assist in creating the proper appearance. 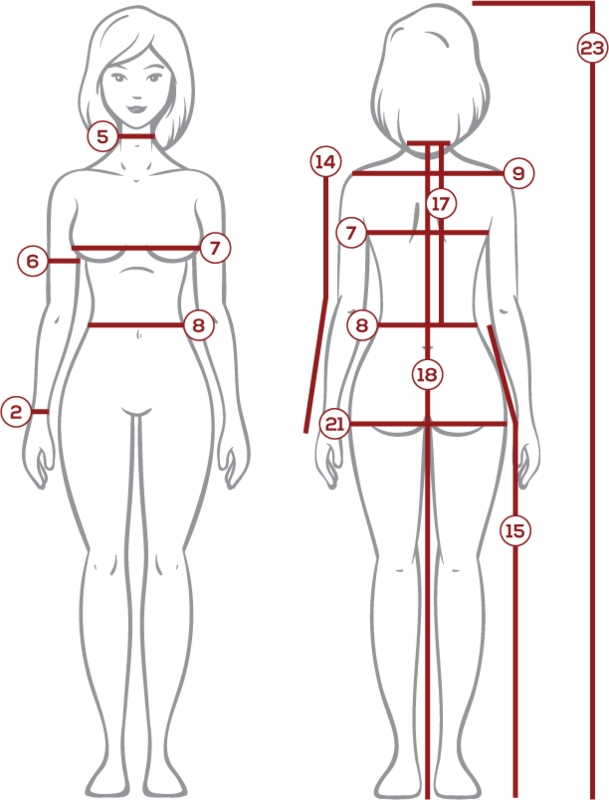 The customization and versatility we offer at Your Dressmaker adds to the enjoyment of creating your own unique character. We are confident that you will be impressed by the high quality and careful design put into each of our bracers and cuffs. For an accessory that goes well with a variety of looks and styles, and proves handy for carrying weaponry, pouches, and other attachments, a belt is the go to. At Your Dressmaker, we offer a vast assortment of ring belts and decorative buckle belts from a wide selection of historical periods. If you need a leather belt to complete your outfit for a LARP battle or a Civil War reenactment, we have a great collection from which to choose. If you seek a decorative belt buckle to raise your esteem at a banquet or faire, at Your Dressmaker we offer belts from the Renaissance, Medieval, and Victorian eras. Whether you plan to attend a Celtic festival that celebrates tradition and heritage, or seek to recreate a military battle fought by your Roman ancestors, we have the leather belts that you need. Perhaps you wish to join the Gothic subculture, or seek to depict a Neo-Victorian character during a theatrical performance. Your Dressmaker carries belts to match these looks and more. 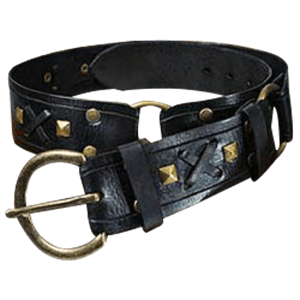 Each belt is masterfully handmade from genuine cowhide leather. We offer belts with braided designs, brass and nickel riveting, and color options between black and brown. No matter what era or culture you seek to portray, a versatile belt is an essential piece to your costume. At Your Dressmaker, we know that our handmade belts will add that final touch to your role. No buccaneer should sail the Seven Seas without a trusty hat to brave the harsh elements. Nor should a noblewoman of the Renaissance permit the sun to damage her fair skin. A wide brimmed hat with appropriately themed accents will meet the task. Whether you choose to be a member of the royal court, or a humble peasant from a medieval village, you need headgear to complete your period costume. At Your Dressmaker, we offer a fine selection of handmade hats inspired by the Medieval, Renaissance, and Scottish eras. Our specially designed hats are craft from high quality materials and beautiful fabrics. Lace, ostrich feathers, and other ornate accents decorate our Renaissance headwear. We offer fabric variations for many of our handmade items, creating a perfect match for our customized dresses. We also offer crowns, hats, veils, masks, and hoods from other historical eras, assisting in the portrayal of Roman centurions, Viking raiders, and Civil War soldiers. We at Your Dressmaker offer hats inspired by historical icons such as Marie Antoinette and King Henry VIII. We carry Scottish tartan caps to complete traditional highland dress. 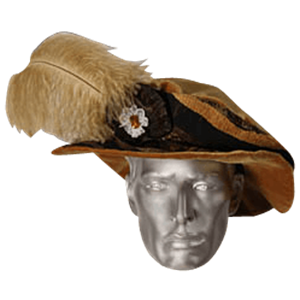 Whatever historical persona you choose to take, our period headwear will assist in the fulfillment of your role. A feather in your cap can mean a variety of things. It can signify great personal glory or even prowess as a hunter. No matter what it means though, a colorful feather in your hat is also a great eye catching accent and a fantastic way to personalize your look. At Your Dressmaker, we offer a selection of fine feathers that are perfect for adding just such an accent to your hats and caps. We only offer 100% real feathers. Most are ostrich feathers that are dyed in a variety of colors, allowing you to add a striking accent to your hat of choice. In bundles, these feathers also make great plumes that you can use as decorations to create intriguing accents that are sure to be memorable. 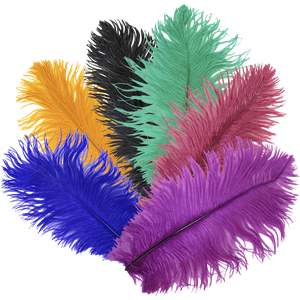 We also carry a handful of other feathers, including peacock tail feathers, which are well known for their color and unique design. Almost any hat can benefit from a feather, and many hats throughout history were adorned with feathers just to enhance their appeal, including musketeer hats, triangular Tyrolean hats, top hats, hunting caps, and more.